Please Dont Support Puppy Mills and Pet Stores!! Take the time to educate yourself! This is when you need to take your time the most! Many States Have NO Breeding Laws or regulations! We get so many emails and phone calls asking us how people can avoid puppy mill .. These are some ways that may help you determine if the breeder you are dealing with is legit. Make sure the state they are selling puppies from have breeding laws in place so that the breeders have to abide by them. If there are no state laws in that state you must ask yourself who is regulating the breeders and the amount of dogs they own and the amount of puppies they are producing. ? Make sure they are registered with the department of revenue for their state to ensure they are a legal business. Last but not least when you see older puppies on a website that have not been placed and the breeder cannot find homes for, this is a huge red flag. Why would anyone bring more puppies into the world when they cannot find homes for the ones they already have? Many of these breeders offer no photos of the puppies just videos from YOUTUBE. This is so they can hide dogs sales from the state and IRS and older puppies they cannot place or they are advertising on YOUTUBE SOLEY to sell to petstores. There is nothing wrong with using YOUTUBE to share videos about your puppies but Legitimate breeders have photos of the puppies on their website so you can study each puppy individually and will mark the puppy adopted to you and the state you are from. 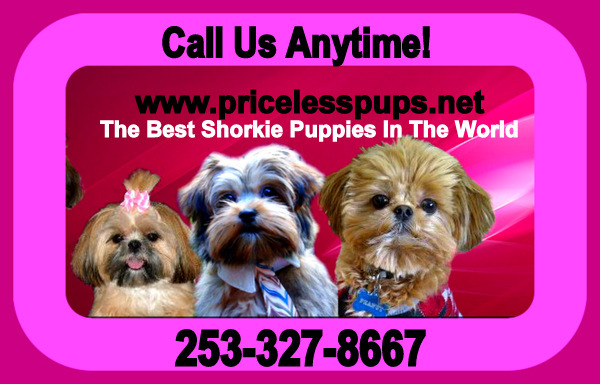 You can often tell you have happened upon a puppy mill website because you will notice put their puppies on sale in desperation to make a quick sale. Breeders that are dedicated to the betterment of the breed never out their puppies on WEEKEND SALES or HOLIDAY SPECIALS! Remember this is a clear sign they cannot sell their puppies and are desperate to make a sale. Make sure when you pick up a puppy locally even if you are driving in from out of state you get a HEALTH CERTIFICATE from a licensed vet. No dog or puppy is legally allowed to cross state lines without one. This is a FEDERAL LAW. Never ever accept a puppy from any breeder without a health certificate from a vet no matter how much or how little you pay for your puppy. These are some ways you can protect yourself. Mobile Alabama Puppy Mill Bust! Shih Tzu and Shih Tzu mixes and Poodles!!! Telling the Truth how common puppy mills are in the Mobile Alabama. There are NO LAWS to protect these precious babies! So please beware of states with NO BREEDING LAWS. puppy mill puppies often come with a set of health issues and problems that you won’t find in other animals who come from a healthy background and that are from genetically screened adults and raised with love as a part of the family. You can watch the video or scroll down and see the laws for yourself we have make a convenient state table for you below and all states with no breeding laws are highlighted in yellow. State Citation and link Who is covered (Breeder, Kennel, Pet Shop or Dealer)? Registration and Inspection required? Penalties for non-compliance? Does the law address the care of the animals? Must obtain a permit by county board of supervisors to run a dog kennel. A person who operates a kennel that houses fewer than 20 dogs may be subject to inspection by county officials if there has been a complaint in writing. A person who operates a kennel with more than 20 dogs shall allow inspections as a condition to receiving a kennel permit. Failure to obtain a kennel permit results in a $25 additional fee; if party knowingly fails to get permit after written notice, class 2 misd. Chapter only applies to retail sale of pets at pet stores. Retail pet store - means any room or group of rooms, run, cage, compartment, exhibition pen, or tether, any part of which is within the State of Arkansas, wherein any animal is sold or kept, displayed, or offered for sale, to the public. It excludes kennels and catteries which sell animals directly to consumers. Also excluded are duly authorized animal shelters and duly incorporated humane societies dedicated to the care of unwanted animals which make those animals available for adoption, whether or not a fee for such adoption is charged. Any authorized person is entitled to inspect the premises and records of a retail pet store at reasonable hours. The State Board of Health may propose, adopt, promulgate, and enforce, in accordance with the Arkansas Administrative Procedure Act, § 25-15-201 et seq., such additional rules, regulations, and standards as may be necessary to carry out the intent of this chapter. Those who sell/give away 3 or more litters or 20 dogs in 12 months. Only for violation of consumer provisions/puppy lemon law. Requires sanitary conditions, potable water, adequate space, rest board, socialization, exercise, and vet care when necessary. Dog breeder - engaged in the operation of breeding and raising dogs for the purpose of selling, trading, bartering, giving away, or otherwise transferring same. Dog breeder, large-scale operation - transfers at least 100 dogs per year. Dog breeder, small scale operation - 25 - 99 dogs per year. Pet animal facility - any place used for the keeping of pet animals for adoption, breeding, boarding, grooming, handling, selling, sheltering, trading or otherwise transferring. Also includes animals kept as breeding stock. Note that pet animal facility licensed under the AWA shall not be subject to routine inspection under this act. Pet animal facility must be licensed. The commissioner of agriculture on his or her own motion or by complaint from any person may make any investigation necessary to ensure compliance (both records and the facility itself). Any person who violates any provision of this article or any rule adopted pursuant to this article is subject to a civil penalty; maximum penalty shall not exceed $1000 per violation. Also criminal penalty of class 2 misd. for certain violations. Person may be denied license if previously convicted of animal cruelty. The commissioner is authorized to adopt rules related to minimum standards of the physical structure of the facility, sanitation, ventilation, cooling, humidity, spatial and enclosure requirements, nutrition, humane care, medical treatment, sterilization, etc. Kennel - Any owner or keeper of a kennel who breeds more than two litters of dogs annually shall apply to the town clerk in the town in which such kennel is located for a kennel license. Commercial kennel - a kennel maintained for boarding or grooming of cats such as those at veterinary hospitals. The commissioner may at any time inspect a commercial kennel, pet shop, grooming facility, or training facility. Failure to obtain a license or operation after revocation incurs up to a $200 fine. Any person maintaining a kennel after such license has been revoked or suspended shall be fined up to $1000 and/or imprisonment for up to one year. If kennel operator fails to allow an inspection of such facility as required in subsection (b) of this section shall be fined up to $1000 and/ or imprisoned not more than one year. No person shall maintain a commercial kennel, pet shop, grooming facility, or training facility until he or she has obtained a license; must follow regulations related to sanitation, disease and humane treatment of dogs or cats and the protection of the public safety. Kennel wherein dogs are kept for show, trial, sale, breeding or other purposes. If, upon inspection or investigation, the premises or facilities are found not to satisfy the requirements for the humane handling, care and treatment of dogs, the operator of such premises or facilities shall be issued a warning identifying the deficiencies. Such operator shall have at least 10 days to bring the premises or facility into compliance. Pet dealer or pet dealership means any person who sells, offers to sell, exchanges, or offers for adoption dogs, cats, birds, fish, reptiles, or other animals customarily obtained as pets in this state. However, a person who sells only animals that he or she has produced and raised, not to exceed 30 animals a year, shall not be considered a pet dealer. Kennel means any establishment, other than an animal shelter, where dogs or cats are maintained for boarding, holding, training, or similar purposes for a fee or compensation. It shall be unlawful for any person to act as a pet dealer or operate a kennel, stable, or animal shelter unless such person has a valid license issued by the Commissioner of Agriculture. Any person acting without a license in violation of this subsection shall be guilty of a misdemeanor. The Commissioner is authorized to enter upon any public or private property at any time for the purpose of inspecting the business premises of any pet dealer or any animal shelter, kennel, or stable and the dogs, cats, equines, or other animals housed at such facility. Must keep the pet dealership premises, animal shelter, kennel, or stable in a good state of repair, in a clean and sanitary condition, adequately ventilated, or disinfected when needed. Must provide humane care for any animal. Must take reasonable care to release for sale, trade, or adoption only those animals that appear to be free of disease, injuries, or abnormalities. Pet shop operator, dog dealer, kennel operator, cattery operator, or operate a guard dog service, an animal control facility or animal shelter or any combination thereof. Inspection of the premises of a licensee to determine compliance with this Act may be made only by the Department of Agriculture. Any person violating any provision of this Act or any rule, regulation or order of the Department issued pursuant to this Act is guilty of a Class C misdemeanor and every day a violation continues constitutes a separate offense. Commercial dog breeder - a person who maintains more than 20 unaltered female dogs that are at least 12-months of age. Commercial dog broker - a person who is a Class B licensee under 9 C.F.R. 1.1 and who sells at least 500 dogs in a calendar year. Note that a breeder or broker is required to register annually. Failure to comply is a Class A misdemeanor. Inspection is not specifically provided by law. The Indiana state board of animal health is empowered to enforce the provisions of this chapter once when the board determines that sufficient funds have been deposited in the commercial dog breeder and broker fund to permit enforcement. Penalties for violation include injunctive relief and civil penalties ranging from $500 - 5,000. (a) A commercial dog breeder shall comply with the standards of care set forth in 9 CFR 3.1 through 9 CFR 3.12. (3) shall, subject to subsection (c), provide every dog with a reasonable opportunity for exercise outside of a cage at least one (1) time per day. (c) A commercial dog breeder who permits a dog access to a run at least one (1) time per day has satisfied the exercise requirement described in subsection (b)(3). However, a commercial dog breeder is not required to provide a dog with the opportunity for exercise if exercise would endanger the dog's life or health. Boarding kennels, commercial kennels, commercial breeders, dealers, and public auctions. Commercial breeder - a person engaged in the business of breeding dogs and cats who sells, exchanges, or leases dogs in return for consideration. A person who owns or harbors 3 or fewer breeding males or females is not a commercial breeder (except pari-mutuel racing dogs). Operation of a pound, animal shelter, pet shop, boarding kennel, commercial kennel, research facility, or public auction, or dealing in dogs or cats, or both, either as a dealer or a commercial breeder, without a currently valid license or a certificate of registration is a simple misdemeanor and each day of operation is a separate offense. The failure to adequately house, feed, or water dogs, cats, or vertebrate animals in the person's or facility's possession or custody is a simple misdemeanor. Note: exception for federally licensed facilities. “Adequate feed” means the provision at suitable intervals of not more than twenty-four hours or longer if the dietary requirements of the species so require, of a quantity of wholesome foodstuff suitable for the species and age, sufficient to maintain a reasonable level of nutrition in each animal. The foodstuff shall be served in a clean receptacle, dish or container. “Adequate water” means reasonable access to a supply of clean, fresh, potable water provided in a sanitary manner or provided at suitable intervals for the species and not to exceed twenty-four hours at any interval. “Primary enclosure” means any structure used to immediately restrict an animal to a limited amount of space, such as a room, pen, cage or compartment. Animal breeder (any person who operates animal breeder premises), hobby breeder, kennel operator, pet shop, animal distributor, and retail breeder. Violation or failure to comply with any provision of the Kansas pet animal act or any rule/regulation may result in civil fine not exceeding $1,000 for each violation or requirement to attend an educational course regarding animals and their care and treatment. If the commissioner imposes the educational course, such person may choose either the fine or the educational course. Mandatory inspections - The commissioner/ rep. shall make an inspection of the before issuance of such license or permit. The application for a license shall conclusively be deemed to be the consent of the applicant to the right of entry and inspection of the premises sought to be licensed at reasonable times; Refusal of such entry and inspection shall be grounds for denial of the license or permit. Notice need not be given to any person prior to inspection. Any individual or business with five or more dogs and who breeds and sells dogs retail, wholesale, or to the public is required to procure a kennel license and pay a kennel license fee (from $15 - 30 depending on the number of dogs). No individual or business that breeds, buys, or sells dogs retail, wholesale, or to the public shall maintain more than 75 dogs over the age of one year at any time for breeding purposes. Any person who violates the provisions of this Section shall be guilty of a misdemeanor with a fine up to $500 or imprisonment up to 6 months, or both. Breeding kennel means a location where 5 or more adult dogs, wolf hybrids or cats capable of breeding are kept and some or all of the offspring are offered for sale, sold or exchanged for value or a location where more than 16 dogs or cats raised on the premises are sold to the public in a 12-month period. Kennel means 5 or more dogs or wolf hybrids kept in a single location under one ownership for breeding, hunting, show, training, field trials, mushing or exhibition purposes. The sale or exchange of one litter of puppies within a 12-month period alone does not constitute the operation of a kennel. Pet shop means a place or vehicle in or on which any dogs, cats, rodents, reptiles, fish, pet birds, exotic birds or exotic animals not born and raised on those premises are kept for the purpose of sale to the public. An animal control officer must inspect annually a kennel prior to the municipality issuing a kennel license. An animal control officer, at any reasonable time, escorted by the kennel owner or the kennel owner's agent, may inspect the kennel. Inspections must be conducted in accordance with the sanitation and health rules established by the department for compliance with laws and rules; also can make examinations and conduct any recognized tests for the existence of contagious or infectious diseases or conditions. Operation without having obtained a license, or after a license has been revoked or suspended, commits a civil violation for which a forfeiture of not less than $50 nor more than $200 a day may be adjudged. “Humanely clean conditions” means that both indoor areas and outdoor enclosures are cleaned on a periodic basis to remove excretions and other waste materials, dirt and trash with sufficient frequency to minimize health hazards and to provide adequately clean living conditions for the species of animal. “Well cared for” means that the animal is receiving necessary sustenance, necessary medical attention, proper shelter, protection from the weather and humanely clean conditions and that the animal has not been nor is being injured, overworked, tormented, tortured, abandoned, poisoned, beaten, mutilated or exposed to a poison with the intent that it be taken by the animal. A person who is engaged in the business of buying, selling, trading, or breeding dogs; or of a kennel where 25 or more dogs are kept. Chapter requires that dogs are being treated humanely. Kennel - one pack or collection of dogs on a single premises, whether maintained for breeding, boarding, sale, training, hunting or other purposes and including any shop where dogs are on sale, and also including every pack or collection of more than three dogs three months old or over owned or kept by a person on a single premises irrespective of the purpose for which they are maintained. Every person maintaining a kennel shall have a kennel license. Any person maintaining a kennel after license is revoked/suspended shall be fined not more than $50. The mayor of a city or selectmen of a town, or in Boston the police commissioner, or a chief of police or a dog officer within his jurisdiction, may at any time inspect any kennel and if, in their or his judgment, the same is not being maintained in a sanitary and humane manner. Must be maintained in a sanitary and humane manner. 330 CMR 12:00 – Regulations concerning sanitation, humane maintenance, housing, compatible groups. Kennel - an establishment wherein or whereon 3 or more dogs are confined and kept for sale, boarding, breeding or training purposes, for remuneration. Pet shop - a place where animals are sold or offered for sale, exchange, or transfer. Mandatory to get license - Pet Shops - the director of agriculture shall not issue a license to operate a pet shop until he has inspected the premises to assure that it complies with the provisions of this act and the rules of the department of agriculture. Any person who violates the provisions of this act or any rule of the department of agriculture promulgated under the provisions of this act is guilty of a misdemeanor. Pet shops - The agriculture department shall issue rules to accomplish the purposes of this act and to establish minimum standards for housing, care and handling of animals to insure the humane care and handling of animals. Under 347.32, "kennel" means where unwanted dogs or cats are housed or confined if the dogs or cats were obtained from municipalities, pounds, auctions, or by advertising for unwanted dogs or cats, or dogs or cats strayed, abandoned, or stolen. Under 347.32, "dealer" means a public or private agency, person, society, or corporation that is licensed or is required to be licensed as a "Class B dealer" under the federal AWA or one who sells or transfers dogs to institutions. Kennels and dealers must be licensed per 347.33. The board of animal health shall cause to be inspected from time to time all kennels and dealers licensed under 347.31 - 40. Violation of any provision shall constitute a misdemeanor. Rules must include, but are not limited to, requirements governing the care of dogs and cats, minimum conditions, and maintenance of quarters and kennels, the humane treatment of dogs and cats while in the kennels, maintenance of detailed records for a minimum period of two years. Commercial breeder - person, other than a hobby or show breeder, engaged in the business of breeding animals for sale or for exchange in return for a consideration, and who harbors more than three intact females for the primary purpose of breeding animals for sale. Pet shop - any facility where animals are bought, sold, exchanged, or offered for retail sale to the general public. Persons engaged in breeding dogs and cats who harbor three or less intact females shall be exempt from the provisions. License shall be issued only upon inspection. Inspections shall occur a minimum of once a year or upon a complaint to the department concerning a particular facility. Operation without a valid license shall constitute a class A misdemeanor. Maintenance of records of acquisition and disposition of animals in the custody of the licensee. The director shall promulgate rules for an adequate program of health and veterinary care which shall be maintained for all animals in the custody of persons and facilities subject to licensure pursuant to sections 273.325 to 273.357, except pounds or dog pounds. Dealer means any person who is not a commercial breeder or a pet shop but is engaged in the business of buying for resale or selling or exchanging dogs or cats. A person who purchases, sells, exchanges, or leases 30 or fewer dogs or cats in a 12-month period is not a dealer. Pet shop means a retail establishment which sells pet animals and related supplies. A person shall not operate as a commercial breeder, a dealer, a boarding kennel, an animal control facility, or an animal shelter unless the person obtains the appropriate license. The department shall inspect all licensees at least once in a 24-month period to determine whether the licensee is in compliance. The department may issue a stop-movement order if the department has reasonable cause to believe that there exists noncompliance. The department may apply for a restraining order, temporary or permanent injunction, or mandatory injunction against any person violating or threatening to violate the act, the rules and regulations, or any order. The department may impose an administrative fine of not more than $5000 for any violation of the act or the rules. Operation without a license is a Class I misdemeanor. A dealer or pet shop licensed under section 54-627 shall maintain a written veterinary care plan developed in conjunction with the attending veterinarian for the dealer or pet shop. (10) Provide veterinary care without delay when necessary. No inspection or enforcement provisions provided for operator provisions. Commercial kennel means any person, business, corporation, or other entity that sells or transfers 10 or more litters or 50 or more puppies in any 12-month period. Pet shop means any establishment licensed to keep, maintain and sell certain live animals, birds and fish at retail to the public. Must be duly licensed and inspected by the department of agriculture, markets, and food of the state of New Hampshire. Inspections of all premises as described in RSA 437:1 shall be made at reasonable times, but in no case less frequently than every 6 months. Any person who violates any provision of this subdivision shall be guilty of a misdemeanor. In addition, any person or owner who violates any of the provisions of this subdivision or rule adopted under it may be subject to an administrative fine levied by the commissioner not to exceed $1,000 for each violation. The department may adopt rules, under RSA 541-A, relative to health and sanitation standards to effectuate the purposes of this subdivision. Kennel - any establishment wherein or whereon the business of boarding or selling dogs or breeding dogs for sale is carried on, except a pet shop. Pet shop - mean any place of business which is not part of a kennel, wherein animals, including, but not limited to, dogs, cats, birds, fish, reptiles, rabbits, hamsters or gerbils, are kept or displayed chiefly for the purpose of sale to individuals for personal appreciation and companionship rather than for business or research purposes. Any person who violates or who fails or refuses to comply with rules and regulations promulgated by the State Department of Health shall be liable to a penalty of not less than $5.00 nor more than $50.00 for each offense; except that for the first offense in cases of violations of sections 2, 4 and 6 of this act, the penalty shall be not less than $1.00 nor more than $50.00, to be recovered in the same manner. The State Department of Health promulgates rules and regulations governing the sanitary conduct and operation of kennels, pet shops, shelters and pounds, to preserve sanitation therein and prevent the spread of rabies and other diseases of dogs within and from such establishments. Pet Dealer - any person who engages in the sale or offering for sale of more than 9 animals per year for profit to the public. Such definition shall include breeders who sell or offer to sell animals; provided that a breeder who sells or offers to sell directly to the consumer fewer than 25 animals per year that are born and raised on the breeder's residential premises shall not be considered a pet dealer as a result of selling or offering to sell such animals. Such definition shall not include duly incorporated humane societies. No person shall operate as a pet dealer unless such person holds a license issued by the commissioner. The commissioner/agents shall, at a minimum, make yearly inspections of pet dealers' facilities to ensure compliance (except for dealers with less than 25 animals - discretionary inspections). A pet dealer who violates any provisions of this article may be subject to denial, revocation, suspension, or refusal of renewal of his or her license. Violation of any provision of this article, is a civil offense, for which a penalty of not less than $50 and not more than $1000 for each violation may be imposed. Minimum standards of animal care related to housing, primary enclosures, housing facilities, temperature, adequate lighting, cleaning, waste disposal, whelping box if needed, sanitation, feeding and watering, proper handling, veterinary care without undue delay when necessary. License required for pet shop, boarding kennel, public auction, dealer. Boarding kennel - a facility or establishment which regularly offers to the public the service of boarding dogs or cats or both for a fee. Dealer - means any person who sells, exchanges, or donates, or offers to sell, exchange, or donate animals to another dealer, pet shop, or research facility; provided, however, that an individual who breeds and raises on his own premises no more than the offspring of 5 canine or feline females per year, unless bred and raised specifically for research purposes shall not be considered to be a dealer under this Article. Pet shop - means a person or establishment that acquires for the purposes of resale animals bred by others whether as owner, agent, or on consignment, and that sells, trades or offers to sell or trade such animals to the general public at retail or wholesale. Failure to provide adequate housing facilities and/or primary enclosures for the purposes of this Article. The Board of Agriculture shall establish standards for the care of animals at animal shelters, boarding kennels, pet shops, and public auctions. A boarding kennel that offers dog day care services and has to maintain an appropriate ratio of dogs to employees. Must provide adequate housing facilities and/or primary enclosures for the purposes of this Article. A kennel owner is a person, partnership, firm, company, or corporation professionally engaged in the business of breeding dogs for hunting or for sale. Law provides only registration provision - No owner, keeper, or harborer of a dog more than three months of age, nor owner of a dog kennel, shall fail to file the application for registration required by section 955.01 of the Revised Code, nor shall he fail to pay the legal fee therefor. “Commercial breeder” and “commercial pet breeder” mean any individual, entity, association, trust, or corporation who possesses eleven or more adult intact female animals for the use of breeding or dealing in animals for direct or indirect sale or for exchange in return for consideration. A person may not hold himself or herself out as a commercial breeder unless the person holds a commercial pet breeder license for each facility that the person owns or operates in this state. The Board of Commercial Pet Breeders shall inspect a facility before an initial commercial pet breeder license is issued for that facility. The Board of Commercial Pet Breeders, at least annually, shall arrange for the inspection of each facility of a licensed commercial breeder. Violation of licensing or records provision is a misdemeanor with up to $500 fine. Hindering or thwarting inspection is a misdemeanor with up to $1000 fine. Yes - The Board of Commercial Pet Breeders, by rule, shall establish minimum standards for the proper care, including veterinary care, treatment, feeding and watering, shelter and confinement, grooming, exercise, socialization, transportation, and disposition of dogs and cats by a commercial pet breeder to ensure the overall health, safety, well-being and humane environment for each animal in the facility of the commercial breeder. The standards adopted under this section must at a minimum meet USDA standards. fee to dogs that stay at the facility an average of less than 30 days. Kennel - any establishment in or through which at least 26 dogs are kept or transferred in a calendar year, or a boarding kennel as defined in this act. Nonprofit kennel – a kennel registered under the laws of this Commonwealth as a nonprofit entity or a nonprofit animal control kennel. Boarding kennel - any establishment available to the general public where a dog or dogs are housed for compensation by the day, week or a specified or unspecified time. Commercial kennel - a kennel that breeds or whelps dogs and; (1) sells or transfers any dog to a dealer or pet shop kennel; or (2) sells or transfers more than 60 dogs per calendar year. Pet shop-kennel - any kennel or person that acquires and sells dogs for the purpose of resale, whether as owner, agent or consignee, and sells or offers to sell such dogs on a retail basis. Private kennel - a kennel not meeting the definition of “commercial kennel” where dogs are kept or bred by their owner, for the purpose of hunting, tracking and exhibiting in dog shows, performance events or field and obedience trials. Rescue network kennel – a kennel that utilizes rescue network kennel homes with the goal of ultimately transferring the dog to a permanent owner or keeper through any means of transfer. Research kennel - any Federal research kennel or other research kennel duly registered with and inspected by the Federal Government under the provisions of the Animal Welfare Act and its attendant regulations. Kennels - the secretary may assess a civil penalty, in addition to any penalty under section 903(c), against an unlicensed kennel of not less than $500 nor more than $1,000 for each day it operates in violation of this act. The penalty shall be premised on the gravity and willfulness of the violation, the potential harm to the health and safety of the animals and the public, previous violations and the economic benefit to the violator for failing to comply with this act. State dog wardens and employees of the department shall inspect all licensed kennels within the Commonwealth at least twice per calendar year to enforce the provisions of this act and regulations promulgated by the department under this act. Maintenance of kennels.--All kennels shall be maintained in a sanitary and humane condition in accordance with standards and sanitary codes promulgated by the secretary through regulations. Nonprofit kennels and Kennel Class I through VI license holders; Kennels under this subsection must develop and follow an appropriate plan to provide dogs with the opportunity for exercise. The plan shall be approved by a veterinarian. Specific requirements for primary enclosures are provided in the law for all dogs in Kennel Class C kennels. Kennels have requirements related to dog houses, veterinary care program, housing facilities, temperature, ventilation, lighting, cleaning, moisture control, primary enclosures (minimum space and construction of), sanitation, and control of pests/parasites. A dog shall be examined by a veterinarian at least once every six months. All dogs must be provided with adequate food that is clean and free from contaminants. All kennels shall be equipped with a smoke alarm and shall have a means of fire suppression, such as fire extinguishers or a sprinkler system on the premises. Provisions apply to dealers and kennels only (AWA licensed dealers, breeders and hobby breeders excluded). Dealer - any person who sells, exchanges, or donates, or offers to sell, exchange, or donate animals to another dealer, pet shop, or research facility, or who breeds dogs and/or cats for the purpose of selling or donating to another dealer or pet shop, or research facility. Kennel - a place or establishment other than a pound or animal shelter where animals not owned by the proprietor are sheltered, fed, and watered in return for a fee. No person shall operate a pet shop, public auction, kennel, or dealer unless granted a license to operate. Any person who operates without a currently valid license shall upon conviction for the first offense be punished by a fine not to exceed $50.00, for the second and subsequent offense by a fine not to exceed $100. Any person, firm or corporation who violates any provision of this chapter unless otherwise stated is subject upon conviction to a fine of $500 for the first offense and not to exceed $1000 for the second and subsequent offense and loss of specimen(s) and revocation of license and/or certificate after a public hearing. Failure of any person licensed or registered to adequately house, feed and water animals shall constitute a misdemeanor. Fine of not more than $100 per animal. Any authorized representative of the director has the power to enter at reasonable times upon any private or public property for the purposes of inspection and investigating conditions relating to the provisions of this chapter. "Adequate feed" means the provision at suitable intervals, not to exceed twenty-four (24) hours, of a quantity of wholesome foodstuff suitable for the species and age. "Adequate water" means a constant access to a supply of clean, fresh, potable water. "Housing facility" means any room, building, or area used to contain a primary enclosure or enclosures. The director may promulgate rules including, but not limited to, relating to humane transportation, records of purchase and sale, identification of animals handled, primary enclosures, housing facilities, sanitation, euthanasia, ambient temperatures, feeding, watering, adequate veterinary medical care, disposition and voluntary surrender of animals at shelters. "Commercial Breeder" - any person who possesses or maintains, under the person's immediate control, 20 or more unsterilized, adult female dogs for the purpose of selling offspring as companion animals. An application for a license must be made to the commissioner of health. To obtain a license, the commissioner must determine that the facilities are suitable as a facility for commercial breeding and conform to state regulations. The applicant must not have been convicted under the state animal cruelty law or any other cruelty offense within 10 years prior to applying for a license. Violation of licensing provisions can incur up to a $1,000 civil penalty for each violation. Commercial breeders must file annual reports listing such things as number of cats and dogs in possession and number sold. Commissioner determines when inspections are to be made ("as considered necessary"). Commissioner may adopt rules and regulations pursuant to this act. The owner or keeper of two or more domestic pets or wolf-hybrids four months of age or older kept for sale or for breeding purposes, except for his or her own use, shall apply to the municipal clerk of the town or city in which the domestic pets or wolf-hybrids are kept for a kennel permit. Dealer - any person who sells, exchanges, or donates, or offers to sell, exchange, or donate animals, but shall not include a person who makes disposition only of offspring from animals maintained by him only as household pets. Pet shop - a place where animals are bought, sold, exchanged, or offered for sale or exchange to the general public. Public auction - any place or establishment where dogs or cats are sold at auction to the highest bidder whether individually, as a group, or by weight. Pet merchant - any person who operates a pet shop or who acts as a dealer. Kennels - premises may be inspected at any reasonable time. Issuance of a certificate of registration may be denied if, after public hearing, it is determined that the housing facilities or primary enclosures are inadequate or if the feeding, watering, sanitizing and housing practices are not consistent with this chapter. Any person licensed or who fails to provide animals under the person's care or custody with adequate food or adequate water or who fails to house animals in the person's care or custody in an adequate manner shall be fined not more than $500.00. Operation of a fair, public auction, business as a pet merchant, without being duly licensed or who violates any provision of this chapter for which no other penalty is provided, shall be fined not more than $300.00 and/or imprisoned for not more than 6 months. The secretary may adopt provisions relating to humane transportation, records of purchase and sale, identification of animals, primary enclosures, housing facilities, sanitation, euthanasia, ambient temperatures, feeding, watering, and adequate veterinary medical care, with respect to animals kept or cared for at premises licensed or registered under this chapter. Commercial dog breeder - any person who, during any 12-month period, maintains 30 or more adult female dogs for the primary purpose of the sale of their offspring as companion animals. Kennel - any establishment in which five or more canines, felines, or hybrids of either are kept for the purpose of breeding, hunting, training, renting, buying, boarding, selling, or showing. The State Veterinarian/ rep. shall have the power to conduct inspections of animal shelters, and inspect any business premises where animals are housed or kept, including any boarding establishment, kennel, pet shop, pound, or the business premises of any dealer, exhibitor or groomer, at any reasonable time. No commercial dog breeder shall breed dogs in the Commonwealth without a valid business license issued by any locality. The Commissioner/rep. may, upon receiving a complaint or upon his own motion, investigate any violation of the provisions of this chapter. Such investigation may include (i) the inspection of the books and records of any commercial dog breeder, (ii) the inspection of any companion animal owned by the commercial dog breeder, and (iii) the inspection of any place where animals are bred or maintained. Any dealer or pet shop that fails to adequately house, feed, water, exercise or care for animals in his or its possession or custody as provided for under this chapter is guilty of a Class 3 misdemeanor. The provisions of this section shall also apply to every pound, animal shelter, or other releasing agency, and every foster care provider, dealer, pet shop, exhibitor, kennel, groomer, and boarding establishment. Any person who owns, possesses, controls, or otherwise has charge or custody of more than 10 dogs with intact sexual organs over 6 months old and keeps the dogs in enclosures for the majority of the day. No person may possess more than 50 intact dogs over 6 months at any time. Violation is a gross misdemeanor. Every owner or operator of a kennel, wherein dogs are bred, kept, boarded or sold as a commercial venture for profit shall annually file with the assessor of the county in which such kennel is located, kept or maintained, an application for the registration of such kennel for the fiscal year. Any person who owns, keeps, or harbors a dog, or who owns or operates a kennel, subject to registration under the provisions of this article, and who fails, refuses, or neglects to register such dog or kennel, shall be guilty of a misdemeanor and upon conviction thereof, shall be fined not less than $25 nor more than $100. Out-of-state dog dealers who bring in more than 25 dogs to sell in Wisconsin. Dog dealers or auctions that offer at least 50 dog for sale per year. Animal shelters (i.e., humane societies, animal welfare leagues, and animal rescues) are non-profits that shelter at least 25 dogs per year. These entities must be licensed by the Wisconsin Department of Agriculture, Trade and Consumer Protection even if already licensed by the USDA. Failure to get license results in fine up to $10,000 and/or 9 mo. imprisonment. Inspections required. Facilities must be inspected prior to initial licensing and at least once every two years after that (not required to inspect out-of-state dealers premises). ensure that dog is not kept in an enclosure for a period dept. determines is "excessive"
Violation for standards of care or other non-licensing issue can result in up to $1000 forfeiture for first offense, and $200 to $2000 for 2nd or subsequent offense within 5 year time frame. Each animal constitutes a separate violation.